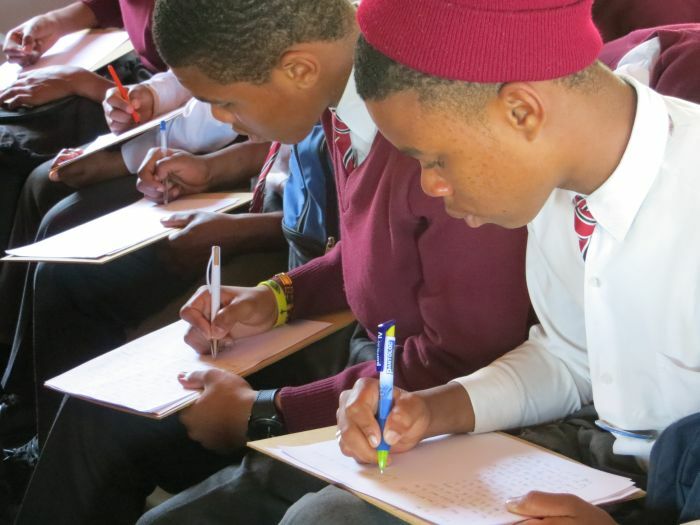 Learners in a high school in the Valley of a Thousand Hills were given the first rule of unlocking the right brain – ten minutes of non-stop writing! This is the first step towards the writing of poetry and of a short story, all done in the 2 hour right brain training. During their two hour workshop, they learnt to write poetry and short stories. Some of their writing may be put into an anthology of stories for their school. The training was facilitated by Thembi Njoko, Senior Education Specialist, Youth Development, from uThekkula District.